What's Going On. . .
November 2017 - Snapped bids a fond farewell to founding partner and Managing Director Tina Ward Alvarez. Expecting her 2nd child in January, Tina is embarking on new adventures and opportunities in New England. We wish her the best! Jon Dalin continues on as Artistic Director as the company restructures for the future. ​June 2016 - Snapped and ONStage receive rave review for The Rimers of Eldritch in the Queens Chronicle. March 2016 - Snapped announces cast for the June ONStage production of The Rimers of Eldritch by Lanford Wilson. Click here for more details and full cast list! December 2015 - Snapped announces cast for upcoming production of Hurlyburly by David Rabe. The cast will feature Howard Collado as Artie, Jon Dalin as Eddie, Stephanie Dauman as Darlene, Matt Kelley as Phil, Blair O'Leary as Donna, Jean-Patrick Simeon as Mickey and Katie Rao as Bonnie. September 2015 - Snapped announces partnership with Larry Singer Studios. LSS ONStage will provide performance opportunities for LSS students in readings, scene nights and a fully staged production. ONStage kicks of on 9/30 with a reading of the screenplay Saint Felicia of Jersey City by D. Rubin Green. For more information, click here. August 2015 - Snapped features one-acts and solo pieces in "ONE1". Running August 26 -30 at Access Theater. All tickets $25 in support of Snapped's 2015 - 2016 season. 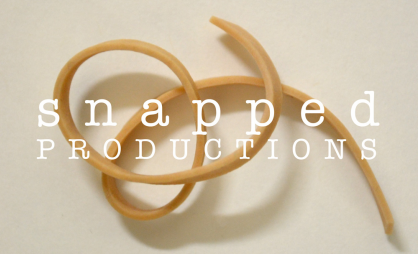 July 2015 - Snapped announces one-act play festival. Produced in association with Access Theater. To run August 26 - 30, this festival benefits Snapped Productions and features one-acts and solo pieces. Jointly produced with Access Theater. May 2015 - Snapped Productions closes it's innovative production of Dividing Lines by Josh Billig! Learn what audiences said about the production here. April 2015 - Snapped is happy to announce Larry Singer as the director of Snapped's upcoming production of Dividing Lines. The play opens May 21, 2015 at Access Theater in lower Manhattan. March 2015 - Snapped launches Indiegogo fundraising campaign! We have 30 days to raise $6500 to pay for theater space for our inaugural CPP production. February 2015 - CPP is going to production! Opening night is May 21st at the Access Theater! January 2015 - The Collaborative Playwriting Project (CPP) enters the final stage! We now are workshopping a full script. August 2014 - Snapped Productions' COLLABORATIVE PLAYWRITING PROJECT enters Phase 2! Six actors and one playwright collaborate to create relevant, innovative theater. Several weeks of guided improv lead by playwright Josh Billig have turned into our first pages of script! April 2014 -Snapped Productions is collaborating with international and award winning playwright, Josh Billig on a new play. The play will be written specifically for Snapped actors and will be workshopped through 2014, culminating in a fully staged production. Stay tuned for more information about this exciting project!